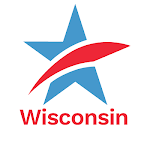 Executive Director Jay Heck comments on the new state budget on WKOW Channel 27 News. Experts say the Wisconsin state budget is like art -- it is anything you can get away with. "Very few bills on their own get thru the legislature," said Jay Heck, executive director of Common Cause Wisconsin. "Many are introduced, few are ever passed. The state budget must be passed." Said Heck, "Ultimately how the budget is decided and what stays in and what stays out is a matter of votes."